I picked up Physicians Formula Mineral Correcting Powder at Target for around $13.00 about a month ago. I gravitated towards this one because of its claims to “correct the most common skin imperfections, smooth skin texture and even out skin tone. Pink brightens, Green tones down redness and Yellow adds warmth.” Despite these lofty claims, this product totally delivers. 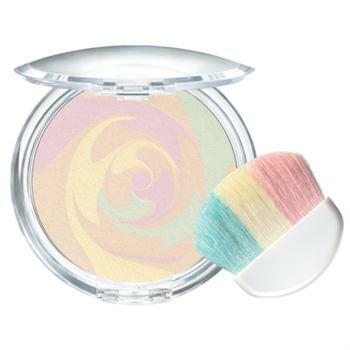 This powder goes on smoothly over foundation and totally changes your complexion. I have found myself wearing less and less foundation thanks to Physicians Formula! I have strong red undertones in my skin and I have combated that with different foundations and powders for years, however this powder totally evens out my skin tone without making me look pasty or dull. In the place of my redness, I am left with an even complexion and a beautiful glow. If you are looking for shine control, you will also not be let down by this compact. Despite my skin’s tenancy to become oily midday, this powder totally prevents that while also keeping my foundation in place. Need another bonus? All Physicians Formula products are cruelty free! So you can buy without harming any critters in the process. If I had to list a con to all the pros of this makeup, I would have to say its the brush. Though this is not an issue for me since I never use the brushes that come with compacts. But if you do, beware because the brush is very small and course. My advice: grab a regular powder brush and don’t let this tiny con prevent you from trying out this amazing product! This is without a question my all time favorite powder and I will certainly be buying it again! If you decide to try it out please let me know what you think! I rarely get the opportunity to get my nails done professionally however I love the look and the lasting results that a salon manicure delivers. No matter how good the top coat is, when I paint my nails at home, I inevitably have chips after just a day or two. No one wants to spend an hour on awesome nail art to have it chipping away the next day! 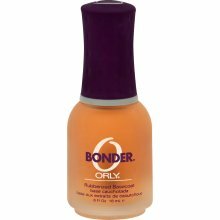 In the hopes of ridding myself of those pesky chips, I picked up Orly Bonder Rubberized Basecoat at Sally Beauty Supply for $7.00. This is the most amazing nail product I have ever used. I applied a thin coat to my dry nails then, without waiting for it to fully dry, painted on my nail color. Next, I waited for the color to dry then repeated the process with another coat of bonder and polish. Finally, I topped it off with my favorite Revlon top coat. Currently I am on day four of my manicure and I don’t have a single chip, smear, smudge, or blemish. It literally looks like I just painted them. I have not been easy on my polish either. 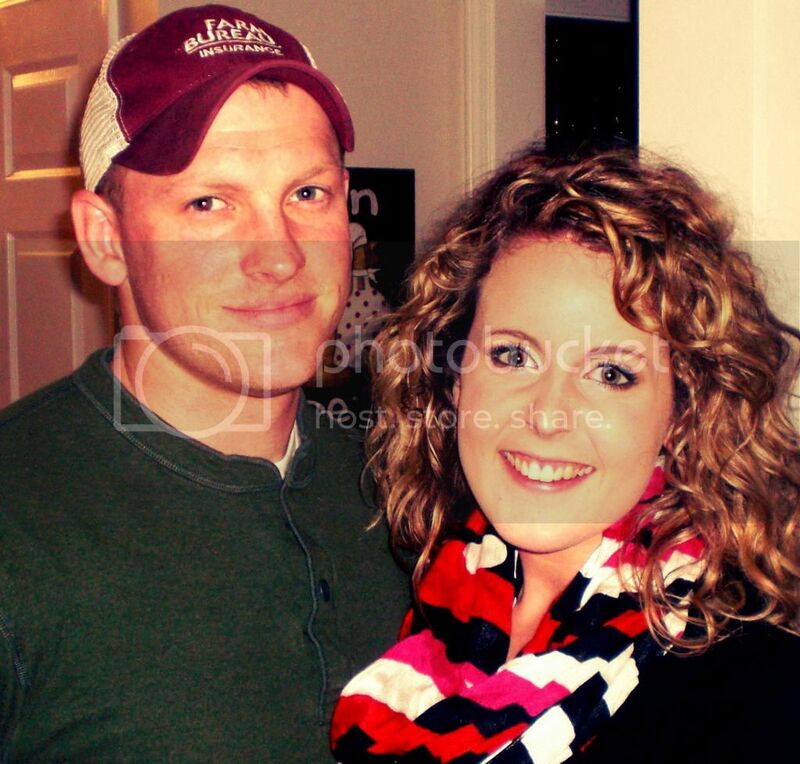 They have been through scrubbing the shower, washing dishes, and even bathing the dog. I have had just as good luck if not better with this Orly Bonder than I have had with past salon manicures. The only con to this basecoat is that it did seem to make drying time take a little longer, but I would sacrifice a little extra dry time any day to prolong the life of my manicure. All in all, this is an amazing product that is more than worth the money. One of the most frustrating things about painting your nails are the chips that inevitably occur a few days or (the horror!) even a few hours after painting them. In an effort to preserve that hard-worked-for manicure just a few days (hours, minutes..) longer, using a top coat is always advised. Although finding a good top coat that really makes the polish last longer is easier said than done. I, like many nail polish enthusiasts, have tried many brands and varieties of top coats in the effort to find one that works.Listen up! I have great news, the search is over. 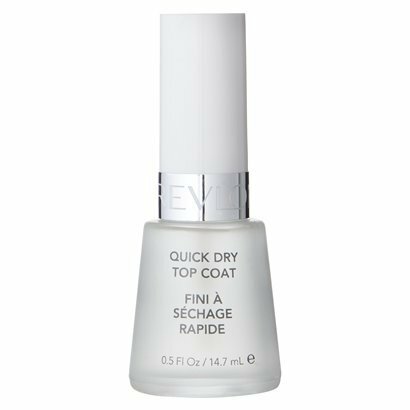 Revlon Quick Dry Top Coat is the best topcoat I’ve ever used. This topcoat (purchased at Target for about $5.00) outperforms all the more expensive top coats that I have tried and, even better yet, it actually does prevent chips and prolong the life of your manicure. This top coat provides a beautiful shine and dries super fast. Plus, since it is super thin and easy to apply, it is great for using over nail art. Many top coats I’ve used in the past have dried up and become goopy before I was even half way finished with the bottle; I have never had that problem with this top coat. I will absolutely use this again and highly recommend it! Even if it was at a higher price point, it would be well worth the money! I had the BEST surprise when I went to the mailbox today! I received my very first Influenster VoxBox! I couldn’t believe it! If you don’t know, Influenster is a website where you review products, complete surveys, and give your opinion about products on social media. You earn badges by completing these task and, as a result, qualify for FREE items via VoxBoxes! How cool is that! 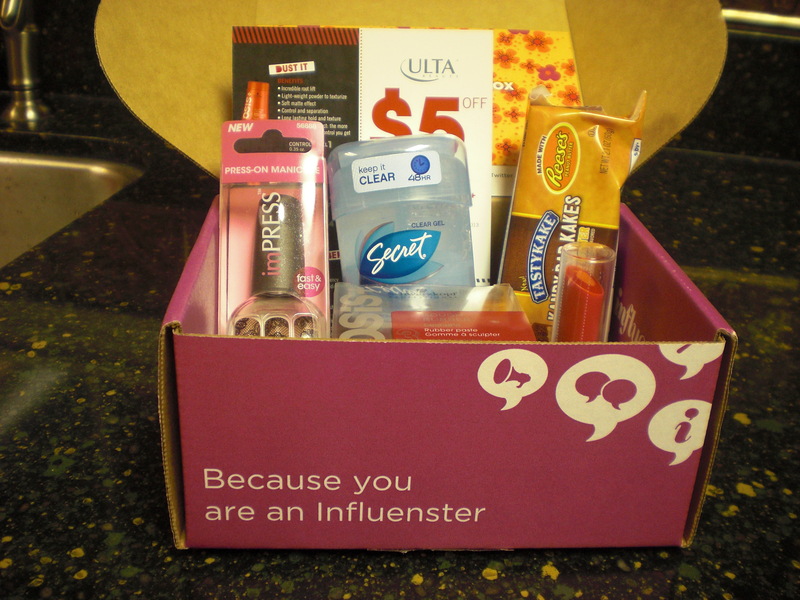 The spring VoxBox includes a bunch of awesome stuff that I will be reviewing in the near future so stay tuned! 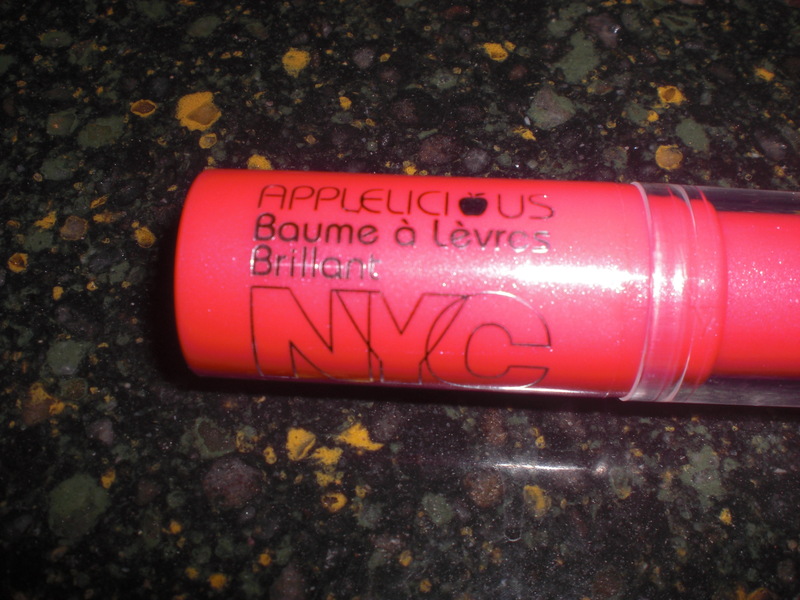 One of the products in the spring VoxBox was NYC’s Applelicious Glossy Lip Balm in Big Apple Red #356. 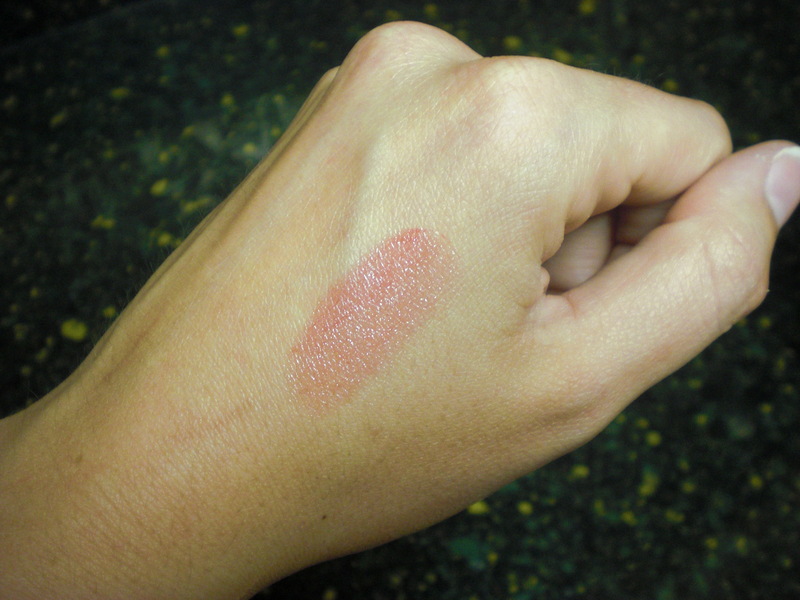 The packaging is similar to your average lipstick, but the texture of this balm is anything but average lipstick material. 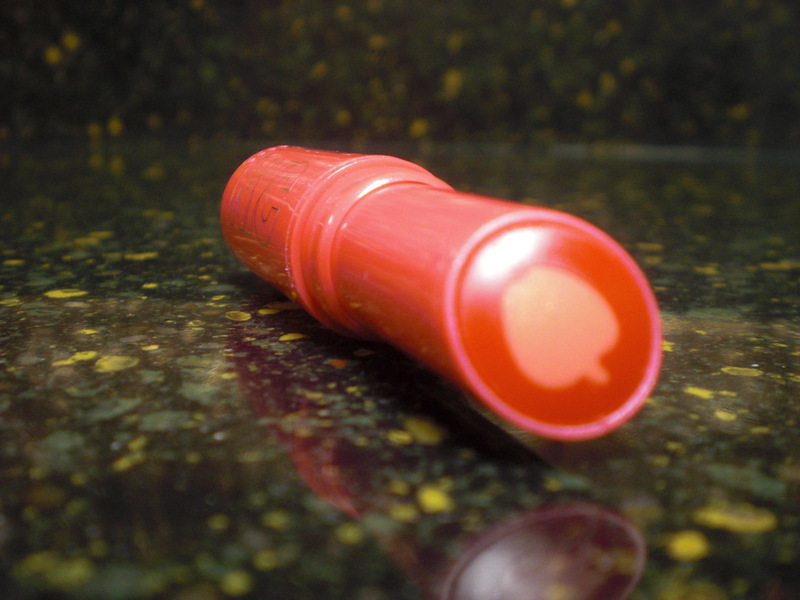 Unlike lipstick, this is a creamy, moisturizing, chapstick like balm. This product glides on smoothly without even ruining the adorable apple emblem on the top! 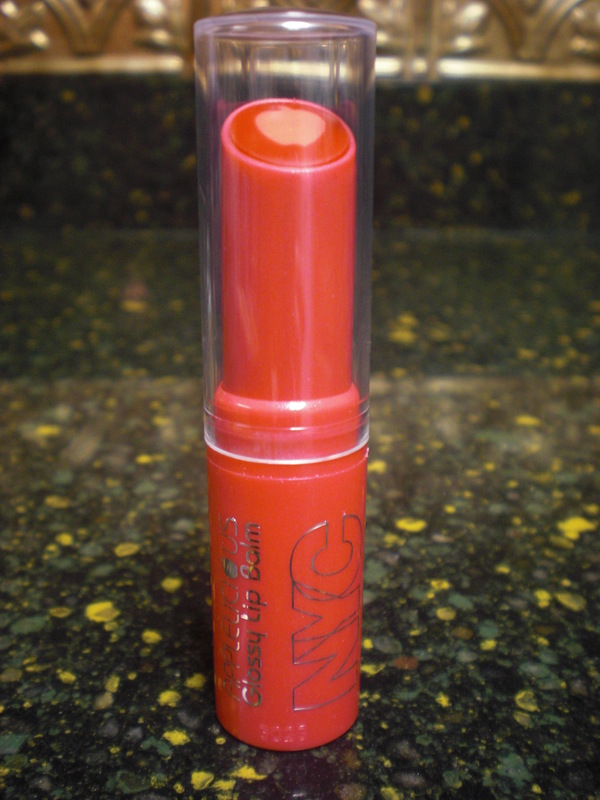 The color is very sheer and natural; it just provides a nice shimmery tint perfect for summer! To make things better, it smells absolutely amazing! Retailing for a meager $2.00 at CVS, everyone needs one of these fruity little guys in your makeup bag. 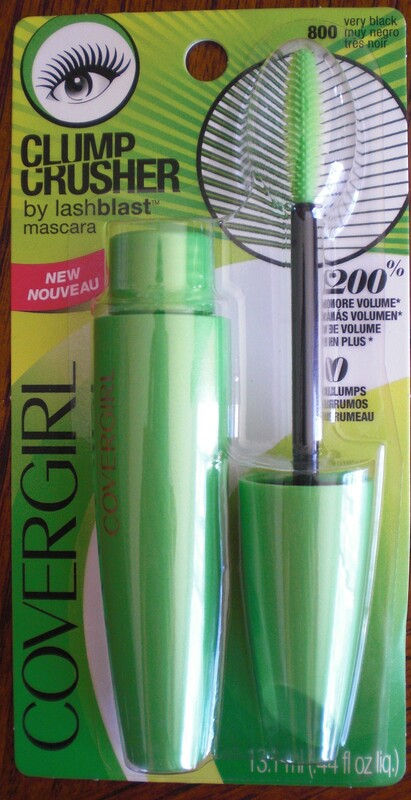 I had seen adds for this new mascara by Covergirl and when I found a coupon for it (for $3.00 off yipee! ), I decided to give it a try. It retails for around $6.00 and I picked mine up at Target . This mascara comes in a variety of colors including black, dark brown, and very black; mine is the #800 very black. When I got the product home, I found the packaging to be very sturdy and it seems like it would hold a good amount of product. 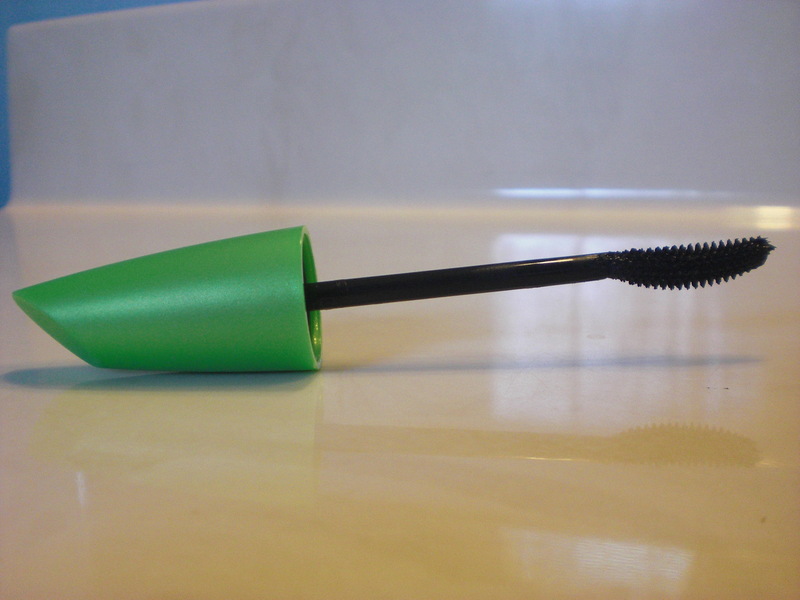 The brush on the wand is small and curved, not like many of the LashBlast product’s massive, volume enhancing brushes. I was surprised when I found that I had to almost force the wand into the tube, however I think that this has a lot to do with this products ability to “crush clumps” because, by making that a tight fit ,it removes all the excess product. Once I had applied several coats to my lashes, I was pleased with the results. That is, in regards to delivering no clumps, this product really delivers. However, the product also advertises 200% more volume and I do not think that it produces as much volume as other LashBlast products. As a result, upon second application, I used my volumizing mascara first and then applied this mascara over top; that worked great! My lashes were separated, volumized, and clump free. If you have really thick lashes that tend to clump very easily, this would work great for you or if you have super thin lashes that make one big, clumpy mess, I would also recommend this product. On the other hand, if you are wanting 200% more volume this isn’t going to be a good choice if you use it alone without another mascara. Shew! That title is a doozy (yes, that is a real word. Google it!). I think my English major tendencies just reared their ugly heads! Anyways. 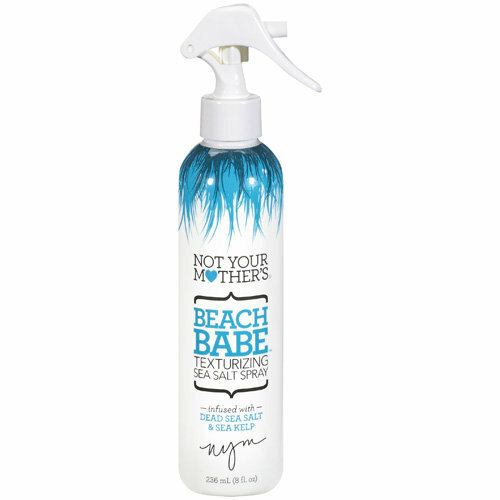 Today I want to talk a little about a product that I have been using for a while now: Not Your Mother’s Beach Babe Texturizing Sea Salt Spray. You can buy this product for $6.00 at Ulta but it is probably a little cheaper at Wal-Mart or Target. This product is a lifesaver in a bottle. Being curly, my hair is completely uncontrollable in humid weather but I had noticed that, after being at the beach and in salt water, my hair was transformed into beautiful waves no matter the humidity. As a result, I purchased this spray before heading back to Flordia on vacation in the hopes that, on those days I was not near the salt water, I could achieve the same wavy look. Amazingly it works just like actual, legit straight-from-the-ocean saltwater. On lazy days even when I’m not on vaction, I just spray this liberally throughout my hair (to where it is saturated but not dripping! ), scrunch, and let it air dry. Normally when I let my hair dry naturally without product it turns into a frizzy mess but when I apply a gel, mouse, or cream it is very weighed down or, worse yet, crunchy. With this spray, my waves are frizz free, bouncy, and look absolutely effortless. Even if your hair is straight, there is no doubt in my mind that this product will give you texture and beachy-ness without trekking to the nearest ocean. In addition to its wonderful styling properties, it absoultly smells AMAZING; like coconut and a sunny day on the beach. If there is any con to this product, it would have to be that it does give your hair that salty feel just like the ocean but, since it is a “sea salt spray”, that is to be expected. Have you tried this product? If so, let me know how it worked for you! There is not a day that goes by that I don’t blow dry, straighten, curl,or otherwise torture my hair. When I think about it, it is a miracle that it hasn’t all fallen out! The reason that I am not bald by now probably has a lot to do with the awesome products that I am so very attached to. Three of those products that save my hair are Aussie Three Minute Miracle Deeeeep Conditioner, TreSemme Split Remedy Split End Sealing Serum, TreSemme Thermal Creations Heat Tamer Spray. 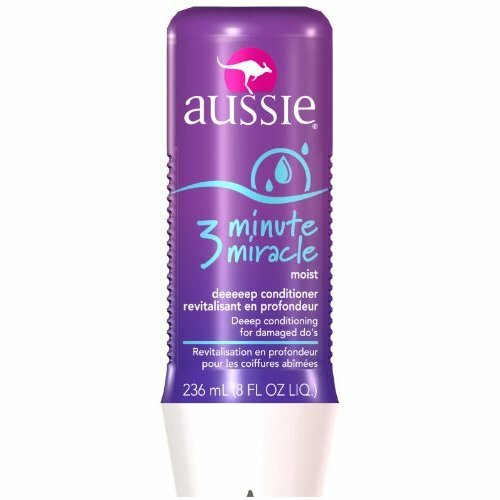 Let me first talk about Aussie Three Minute Miracle Leave in Conditioner. I use this conditioner on my hair about once a week and it is amazing. Not only does it smell awesome, but it leaves my hair shiny with visibly less frizz. Since my hair tends to be oily at the scalp, I only apply this condition from about my temples to my ends. After application, I roll my hair into a bun, pin it in place with chop sticks (the hair ones from like the 90s, not the ones you with from last nights take out! ), and let is sit usually while I shave my legs or clean the shower (multitasking! ), and then rinse out. I tend to leave mine on longer than just 3 minutes, but if you are in a hurry 3 minutes would be fine. I credit this conditioner with preventing my hair from being a complete and total dry haystack. 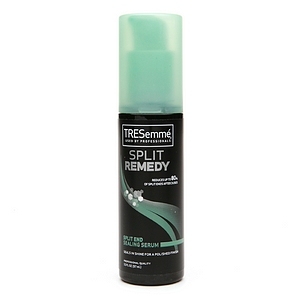 Next, I’m absolutely in love with TreSemme Split Remedy Split End Sealing Serum. I usually apply this serum from my ends up to about the bottom of my ear lobe when my hair is still damp. It really does help repair split ends and prevent new ones from forming. After using this product, my hair is more manageable, less brittle, and does not break off as easily. If you have problems with split ends forming between trims, give this product a try. 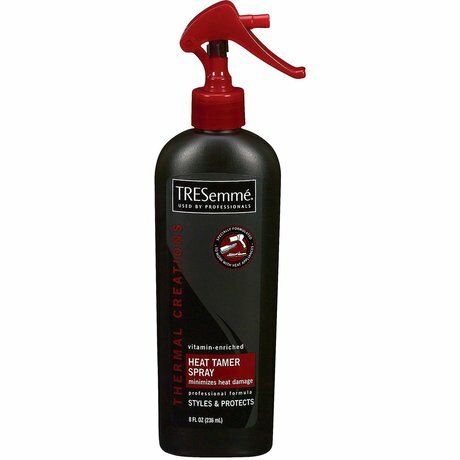 Finally, my go-to heat protector is TreSemme Thermal Creations Heat Tamer Spray. I know that I have mentioned this spray before, but I really can not say enough good things about it. I spray it throughout my hair prior to blow drying then again before straitening or curling. After I started using this product, my hair is so much healthier. An added bonus is also that it helps my hair hold curl and style better! With the combined forces of these three products, my hair is still present and accounted for. 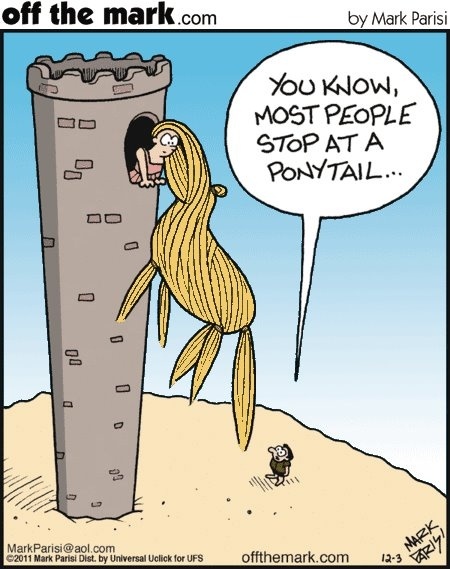 Are you a partner in crime when it comes to hair torture? If so, let me know what measures you take to keep your hair healthy!